This book contains the proceedings of a conference, held on 23-27 April in Tenerife, to discuss recent progress on star formation in galaxies. Presentations took into account advances in related areas such as the structure, dynamics, and evolution of galaxies, their stellar and dark matter components, central black holes as clues to their histories, the physics of the interstellar medium, and the feedback on all spatial scales between star formation and the host galaxy. 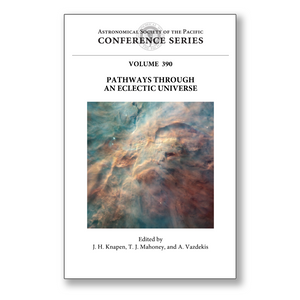 This volume contains more than a hundred papers on these topics including invited reviews, invited and contributed talks, poster presentations, and two panel discussion sessions. These articles provide an in-depth assessment of the current state of the field, relate observations with theory, and link detailed studies of star formation in our own Galaxy with cosmology. The conference was a celebration of John Beckman's 40 years as an active astrophysicist. A number of varied contributions were made by John's friends and associates, and some of these -- in fields such as the history and philosophy of astronomy, or other branches of astronomy not related to the interaction of star formation and galaxy formation -- are included in these proceedings.